Light Space & Time Online Art Gallery is pleased to announce that its October 2014 art exhibition is now posted on their website and is ready to be viewed online. Artists were asked for their interpretation of the “Abstracts” theme by submitting their best nonobjective or nonrepresentational art for this art competition. An art competition was held in September 2014 which determined and judged the art for this exhibition. The gallery received submissions from 21 different countries from around the world and they also received entries from 35 different states and Puerto Rico. Overall, there were 896 entries judged for this art competition. Congratulations to the artists who have been designated as this month’s category winners, along with the winning Special Merit and Special Recognition artists. The gallery commends all of the winning artists for their artistic skill and their creativity, as this online art exhibition is indicative of their creativity. 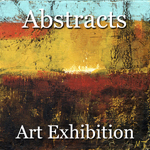 To proceed to the gallery’s “Abstracts” online art exhibition follow this link http://www.lightspacetime.com/abstracts-art-exhibition-october-2014/.